We offer commercial inspections and specialty inspections. 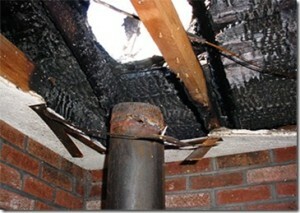 An inspection of this improper vent pipe could have prevented such a house fire. 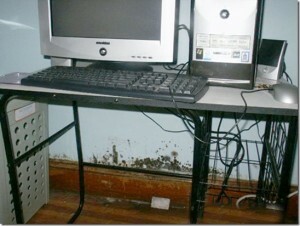 Mold is showing under this table and the source was seen on the outside where siding was not installed properly. We inspect virtually every thing we can see, get to or operate according to Maryland State Home Inspection Requirements. Inspections normally take between a few hours to as much as 4 hours to complete. It is recommended that you allow time in your schedule to be present for the entire inspection. We do not work on a set amount of time because we are dedicated to doing a thorough inspection and to answering all of your questions. 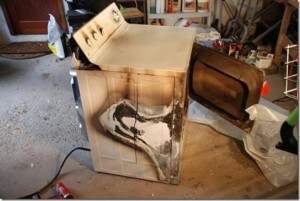 Lint clogged the venting on this dryer and a fire resulted. Extra time is allowed so that you can learn about the house you are purchasing and have a good understanding of how its systems and components function. Any problems or concerns found during the inspection process will be explained to you in detail so that you will comprehend them in terms that you can relate to. Maintenance recommendations as well as upgrades will be put forth for your consumption. While we do not request you to go everywhere we go (such as attics and crawl spaces) it is best that you stay nearby so that we can verbalize our findings and our recommendations. Refrain from bringing along friends or family so they can see the house for purposes other than inspecting it. Please invite knowledgeable family members, associates and friends that you desire to have with you. Zink Home Consultants will welcome them as informative guests to the inspection. 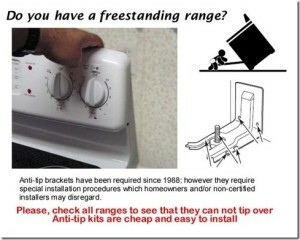 A good inspector will check to see if safety devices are in place. We offer onsite print outs of the report and can include photos via a disc or S/D card. Reports and pictures can be delivered via E-mail as a file. A thumb drive can be provided with the report and the photos loaded on it. Typical inspection fees start at $225.00 and up depending on the size, age and complexity of the house to be inspected. Call for a free quote. Baltimore County Apartment / Rental Compliance Inspections for as low as $85.00 for a single unit dwelling. It is recommended that you utilize your real-estate agent to assist in gaining access to the house, setting a schedule with the listing agent and seller and helping you to follow up on the findings of the inspection. Inspector Ray’s Reports are EZ to read and use in your Real Estate Transaction. The Report has a Comprehensive Synopsis Photo section with comments that highlight “Condition Concerns” and also has a section that illustrates the general condition of the home’s major components and aspects. If you have any questions, please feel free to call or email. If you’re ready to schedule your inspection, call us now at 410-733-0127.